Ladies' hats are a rather uncommon site in Honolulu. 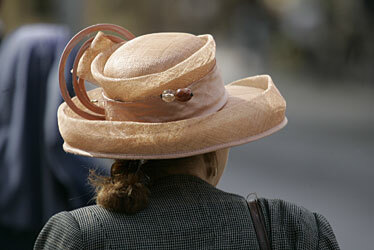 This beautiful peach-colored hat was worn Tuesday by a woman walking at the intersection of Bishop and Hotel streets. 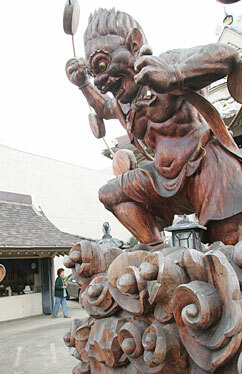 Because of the camera angle, one of two Buddhist protector deities at the Shingon Mission on Sheridan Street appeared bigger than it really was yesterday.